The next generation of the Cyborg Beast is a much sleeker and more functional design. The print-in-place fingers allow for a stronger grasp with improved durability. The ergonomic thumb is designed with precise tension for both functional pinch and grip. Additionally, an adjustable palm section significantly improves fit and comfort of the device. As with the original Cyborg Beast, composite grip and pinch are achieved with active wrist flexion. allow the child to become more familiar with a prosthesis. The device was designed to mimic a superheroes limb to make it visually appealing to children. The arm is designed to allow manual adjustments by the non-involved hand for pronation and supination, elbow flexion and extension, and shoulder flexion and internal/external rotation. 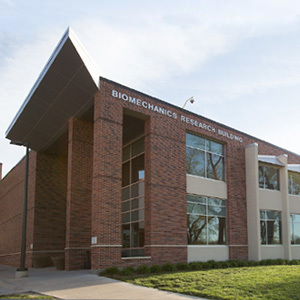 The prosthesis can benefit a variety of bi-manual activities and unilateral movements. Functional grasp is performed through shoulder protraction of the unaffected arm. 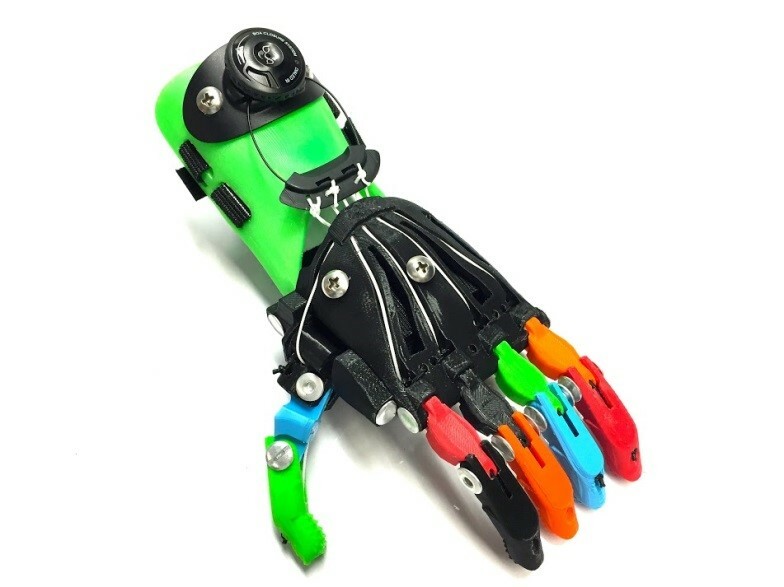 A visually appealing, easy to assemble, low-cost 3D printed prosthetic device. 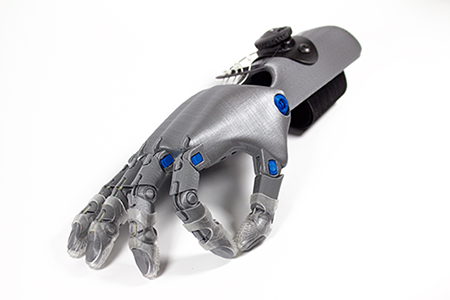 This prosthetic was developed for children who lack functional fingers but have a minimum of 20 degrees of wrist motion. Finger flexion is achieved through active wrist flexion. For children with trans-radial reductions or who lack the necessary wrist motion for the standard Cyborg Beast, the Cyborg Arm was developed. Grasping is achieved through active elbow extension. The Cyborg Beast can be customized to improve visual appeal for the child.